Please join me this Christmas season and help spread joy to a very special non-profit organization! 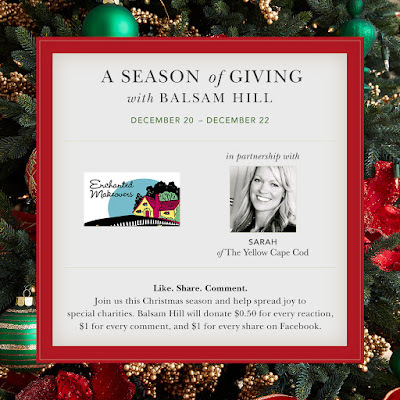 Balsam Hill will donate $2 for every comment left on this blog post! 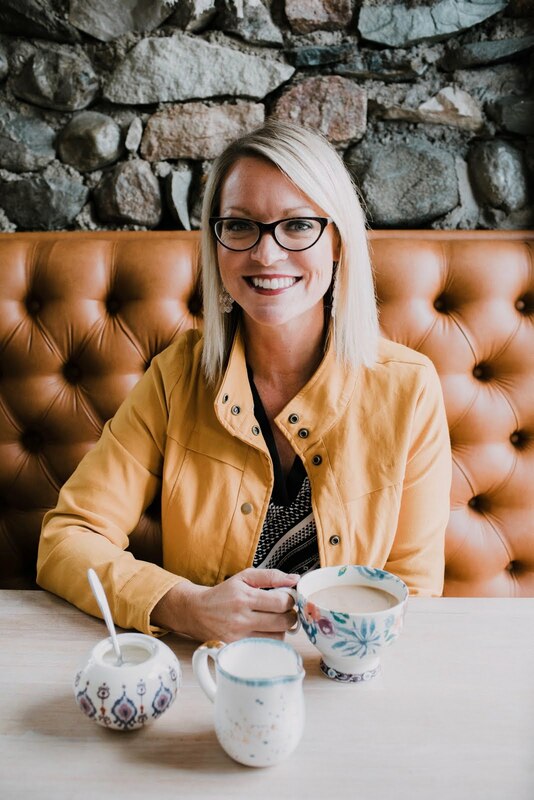 I’m so excited to announce, that this Holiday Season I’m partnering with one of my favorite companies, Balsam Hill, to support my favorite non-profit organization, Enchanted Makeovers (EM) as part of the Season of Giving Campaign. It’s no secret that I'm a huge fan of Balsam Hill. 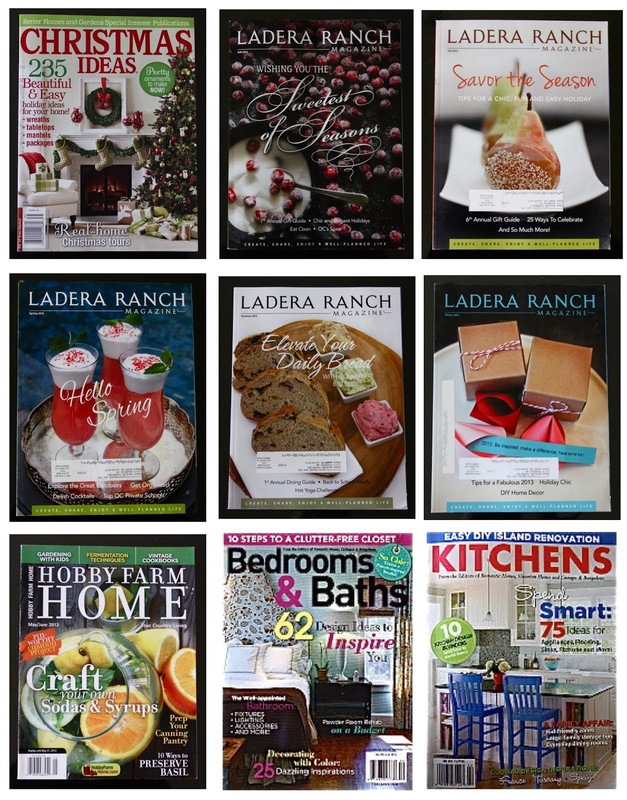 You’ve seen their seasonal décor items featured throughout my home for many years. If you've followed me for a while, then you’ve also seen posts on the volunteer work I’ve done with Enchanted Makeovers throughout the years. 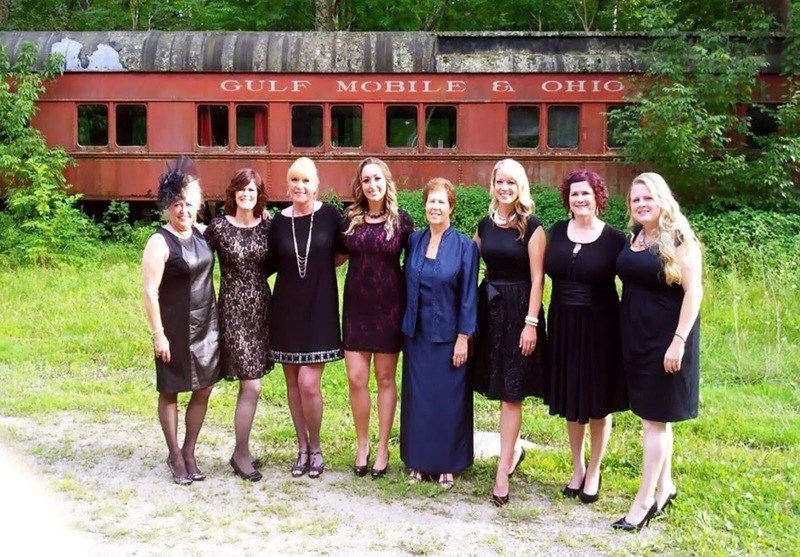 The opportunity to work with Balsam Hill to support Enchanted Makeovers at the same time is pretty is incredible. 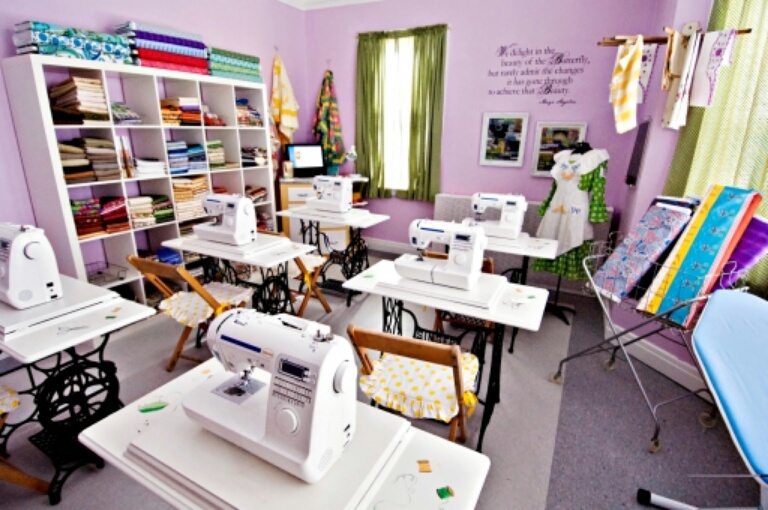 Shelter "After" Makeover by Enchanted Makeovers "The Sacred Sewing Room"
Back in 2011, a friend of mine introduced me to Enchanted Makeovers (EM) in a casual conversation. 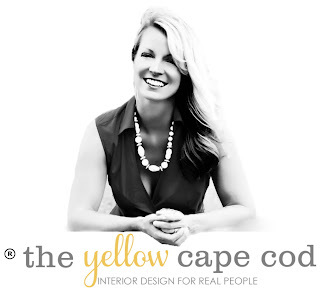 That night, I went home and read up on EM and instantly became captivated by the story of the Founder, Terry Grahl, closing her successful decorating business to devote all of her time to performing “shelter makeovers”. It wasn’t until I actually volunteered with EM that I realized it was about so much more than decorating and making shelters look pretty. EM is committed to empowering and improving the lives of women and children living in shelters through many different community programs and initiatives. EM Founder, Terry Grahl, installing hand made Dream Catchers. 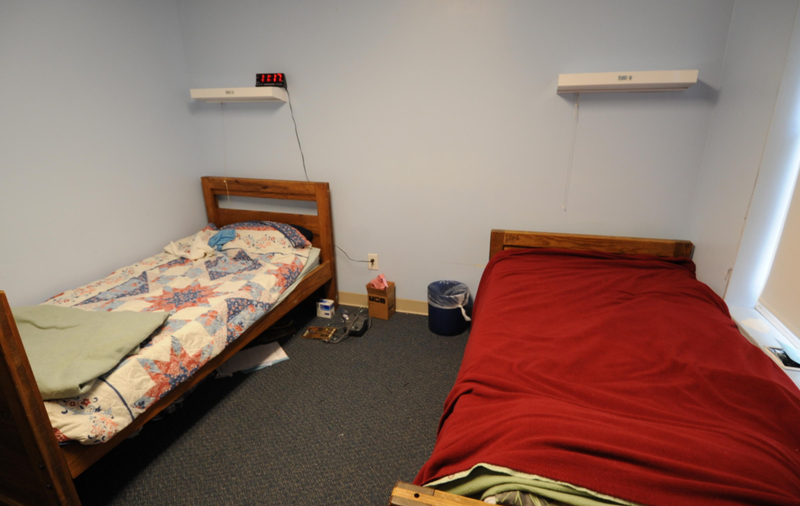 These programs are in addition to shelter makeovers, where large, long term, shelters are transformed into an environment that inspires behavioral and psychological change. EM is also about unifying the community; bringing people of all backgrounds and experiences together to love and support each other through the act of giving/volunteering. While I tell you a little bit about the ways in which EM changes lives, I will be sharing some photos from some of the various EM events I have participated in. Detroit Rescue Mission Room "Before"
My family and I participated in two large EM Shelter Makeover projects in the Detroit Area. Alternative For Girls and Detroit Rescue Mission were two of the facilities we had the opportunity to volunteer our time transforming with EM. Some of the various tasks we worked on were painting, refinishing furniture, hanging art, installing drapery and creating handmade décor to beautify the rooms. Most of the décor and makeover elements used in EM’s shelter makeovers is handmade by volunteers. This touch makes the transformations extra extraordinary. 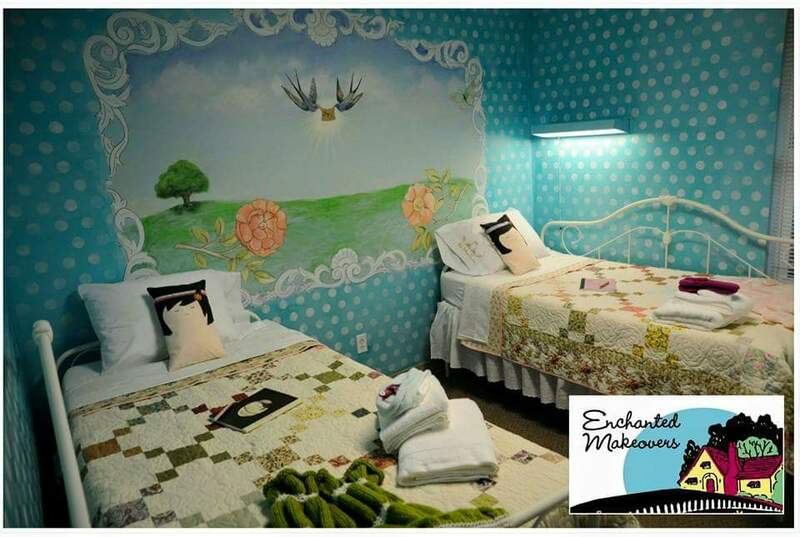 In addition to EM shelter makeovers being beautiful and dramatic, you can feel the love put into each space through every hand made art piece, hand stitched quilt, pillowcase, handmade doll, hand painted mural, etc. 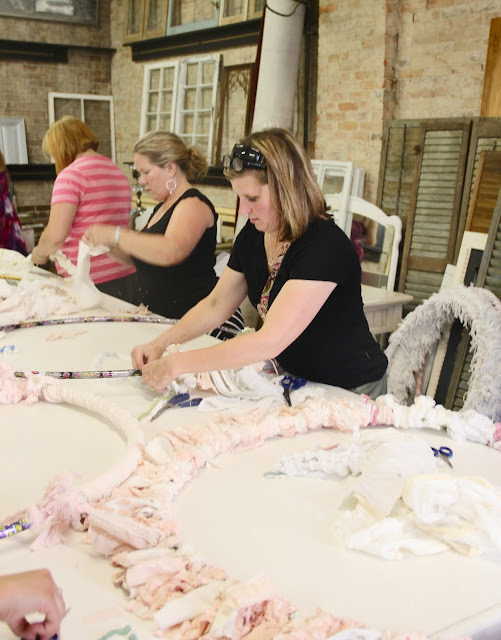 In addition to working with EM at actual shelter makeover events, I’ve also hosted community gatherings where I brought members of my local community together to create handmade art and room décor to be used in EM makeovers. 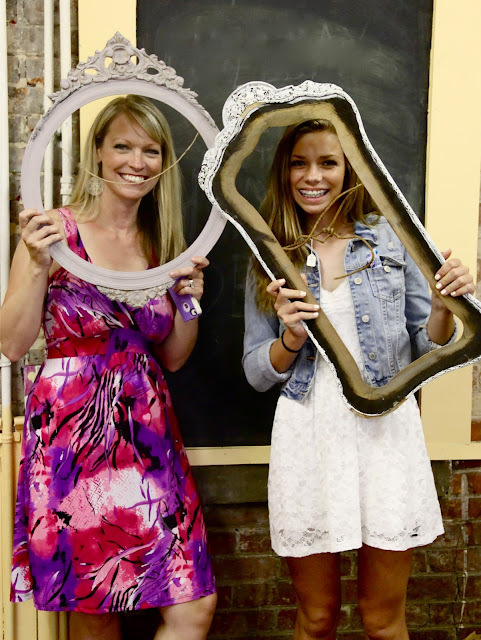 These events not only produced beautiful art for the makeovers, but also provided a wonderful opportunity for camaraderie and bonding for those who attended. Through the use of their creativity, each one of the guests at my crafting soirees gave a piece of their heart along with their time. It’s been amazing to witness first hand the effect that EM has on the lives of women and children living in shelters, as well as the effect that EM has on the act of volunteering itself. Another extraordinary experience I had with EM was the She is Me Gala in New Jersey. This was absolutely amazing; I traveled to New Jersey to help prepare the venue for, and attend, this special event. In addition to being a fundraiser, this event was really a giant celebration. Our special guests for this black tie evening included 20 women from a local women’s shelter who enjoyed a day of pampering, make-up, beauty and fashion before the big night. We broke bread together and danced the night away with the common theme of “She is Me” in the air. 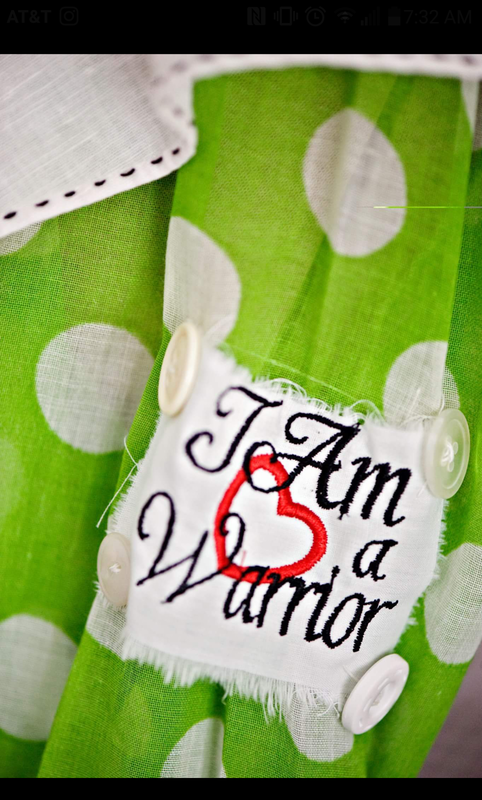 This program collects and distributes hand made pillow cases to women and children living in shelters nationwide. The story behind the Traveling Pillowcase initiative and EM’s goal with this project can be read about here. 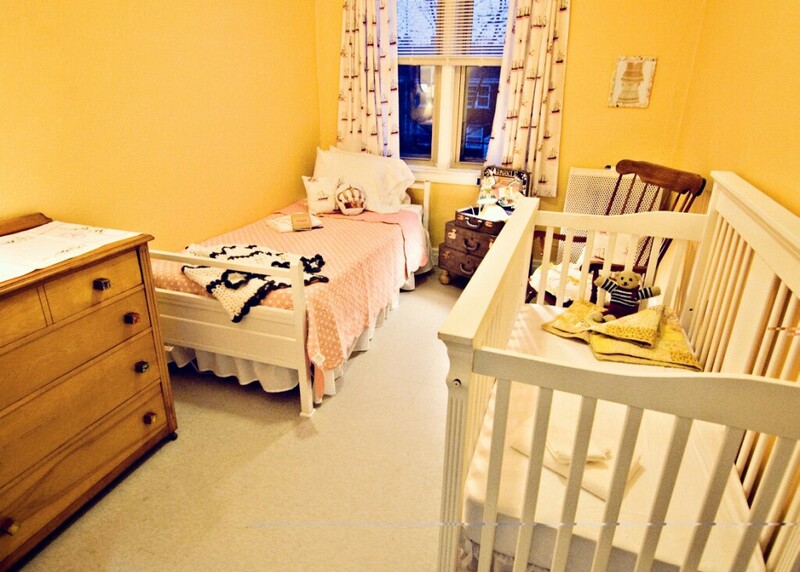 This project provides children in shelters with beautiful handmade dolls donated by crafters from around the globe. To read more about this inniative, please click here. This one is one of my favorites. 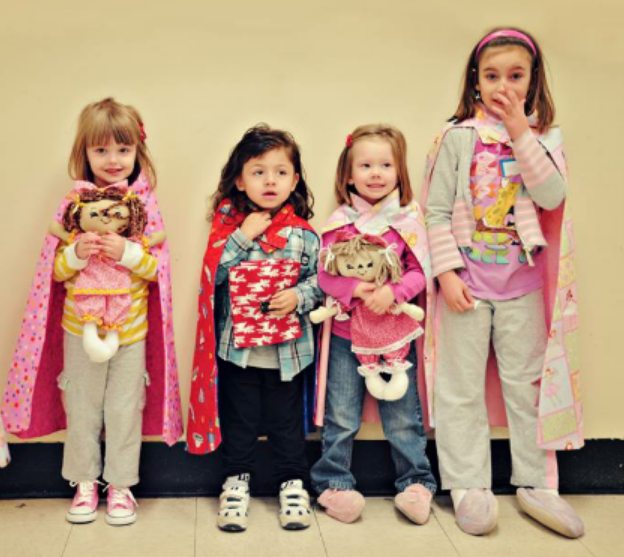 The Capes For Kids Program gathers and distributes hand made super hero capes to kids living in homeless shelters around the country. 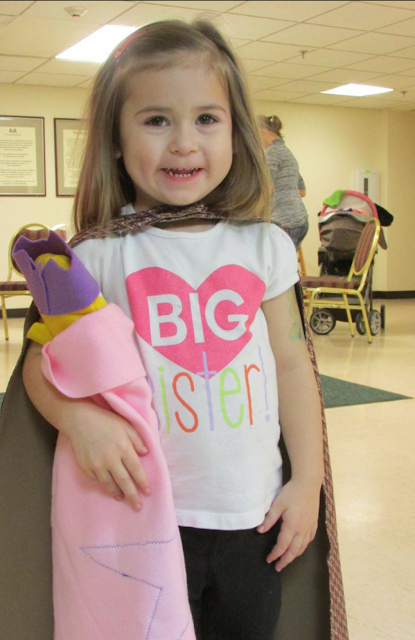 You have to read the story behind the Capes For Kids project. Giving each child their very own super hero cape is all about sending the message of putting on our daily armor and believing in ourselves. We have the power within ourselves to be our own superhero and we don't need to wait for someone else to save the day for us. The Patch Project is a sub-program of the Capes For Kids Program. With the patch project, patches made by handcrafters nationwide are collected and attached to super hero capes prior to distribution. To read more about the significance of these patches and how the play a big role in the Capes for Kid initiative, please click here for the full story. 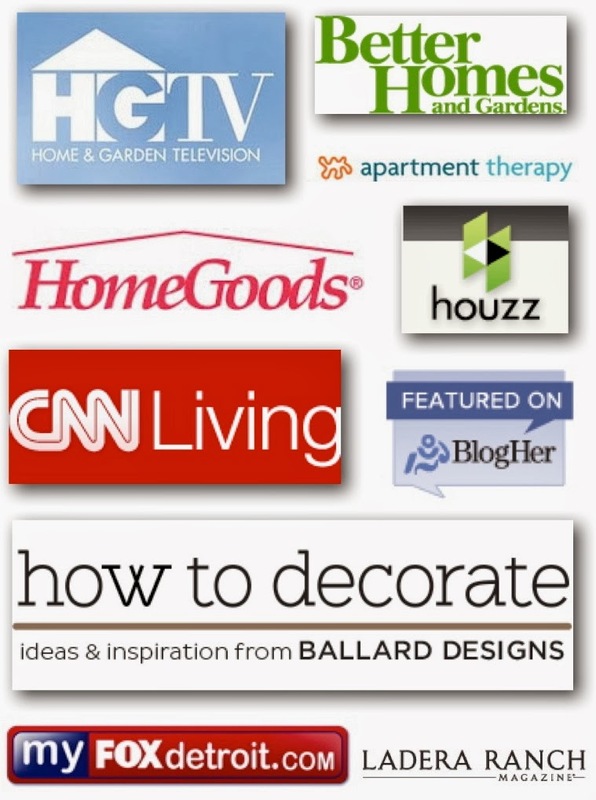 These are just some of the programs I have had the opportunity to be involved in. To Learn more about Enchanted Makeovers and to see how you may be able to help, please visit the EM website You will also be able to read more about the programs and initiatives they have in place for shelters including the Stepping Into the Dream Program, The Sacred Sewing Room, The She Cares Program and Makeover Events. Thank you for stopping by today and letting me share this amazing movement with you. Please go to the Balsam Hill facebook page and share, like and comment to help raise money for Enchanted Makeovers. I appreciate your support and I’m so thankful to Balsam Hill for their generosity! Remember, for every Like, comment and share of this post, Balsam Hill will match with a donation to Enchanted Makeovers! Please encourage family and friends to get involved in this exciting event as well. Every click counts! For each comment on this blog post, Balsam Hill will donate $2! 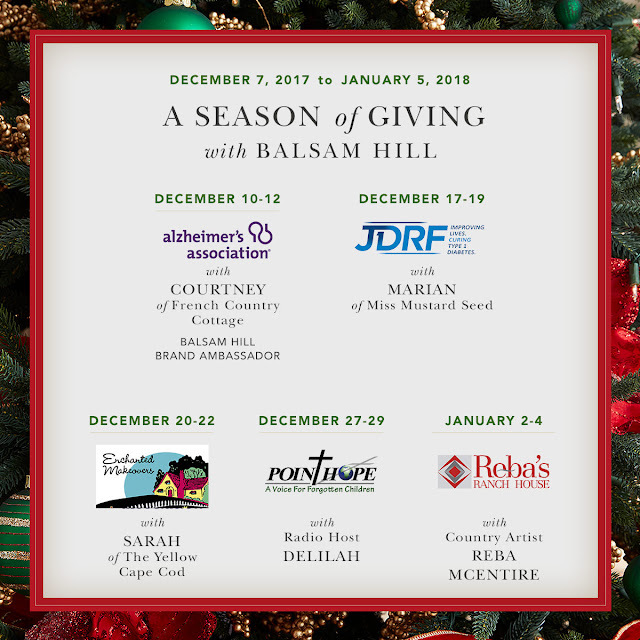 During the month of December, please follow A Season of Giving on the Balsam Hill Blog. Back to the Design Studio! I'll be back next week to share some of the E-Design projects we've been working on! Enchanted Makeovers sounds like such a great organization! Thanks for sharing this important information. This post is so emotional, sad, happy, heartbreaking and inspiring - yes so many negative feelings mixed with positive and hopeful ones too! I'm thinking I can combine my love of painting used furniture with my desire to help others. Thank you for inspiring me! Time for me to do some research on local area shelters that can use some pretty things to add some cheer. Happy Holidays! Absolutely love this post and the kindnesses, loving services provided and the reason for this worthwhile project. 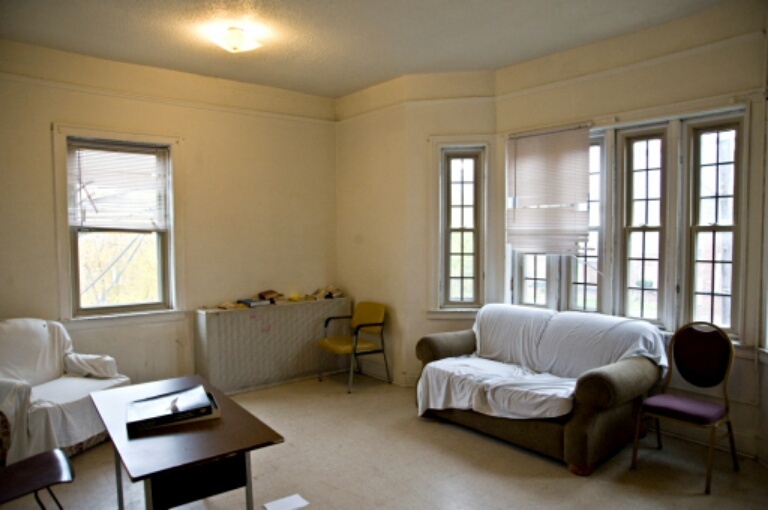 Thanks for highlighting the good work that EM is doing in homeless shelters. What a great program! Time of find out more about Enchanted Makeovers. My mom just made ADORABLE capes for my nieces and their friends - and she had such a blast making them. I'm definitely passing on the "Capes for Kids" website. Hopefully she'll agree to me funding it and her creating! Thanks for the links! What a wonderful & inspiring post. 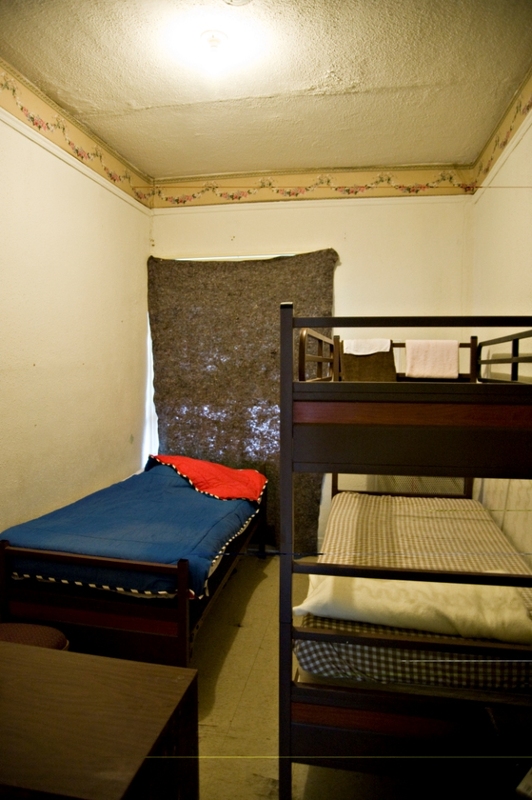 I would love to work with the shelters here in my community. Such a kind and beautiful thought to help women and children who really need some kindness given. I'm sure this helps them feel so special. What an informative and heartwarming post! Thanks to all who give of their time and talents to such worthy causes. What an inspiring post!! Thanks you for sharing this worthwhile cause. I'm interested in finding out if EM is in my neck of the woods. I will definitely look into this. What an inspiring post.. I'm anxious to see if EM is in my area and will definitely be checking that out.. I love this - what a wonderful thing you all are doing! Wonderful mission, helping bring some brightness into lives! 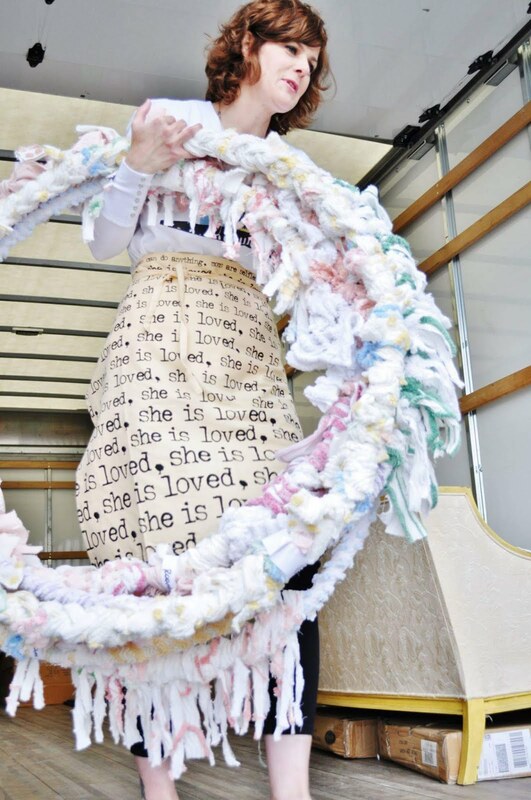 What a wonderful way to use gifts and talents to bring a little brightness into the lives of others! I love everything about this! You’re a treat to follow on Instagram! Merry Christmas!